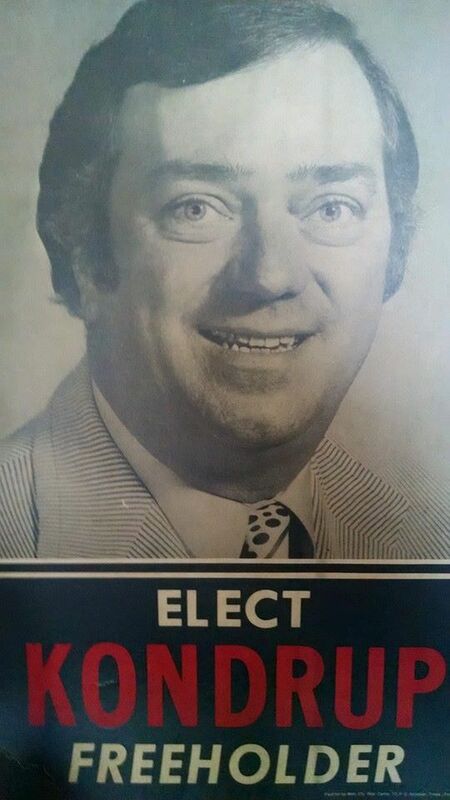 Arthur R Kondrup, born in Jersey City, graduated from Seton Hall University majoring in industrial management, and then received an MBA from New York University, He is also a former member of the Freehold Township Committee serving as mayor five times, and is a well-known face who has brought much to our area. It’s always a thrill sitting next to Arthur and his spouse Patricia, who have been married for over 61 years, in a restaurant watching locals coming up and saying nice things to them. Pleasantries such as, “Gee Art, it’s great to see you and Pat looking so well.” Or, “Remember us, you married us in town hall”; “Great speech when you presented me with the award”; Mom and Dad wanted me to say hello”; and other expressions of familiarity. The fun is watching Arthur try to convince those coming forward that he actually knows who they were. A true master politician. Art and Pat raised their 5 children in Freehold, who also blessed them with 10 grandchildren and step grandchildren. In addition, they’ve continued the Kondrup standing in their individual successful paths as a retired member and now a consultant to the Prosecutors Office; a highly respected financial advisor First Vice President at Morgan Stanley; a 911 dispatcher for the New Jersey State Police, a Superior Court Judge in Monmouth County, and a Financial Executive with AIG. Arthur has served his family and community very well. He introduced information technology to the New York/New Jersey Port of Authority while there in the 1950’s. In his Masters papers he forecasted the proliferation of computers to a personal level, when only mainframe computers were the norm and required a sizeable staff to operate them. Also in the 1950’s. After his tenure on the Township Committee, Art expanded his public service as the first chairman of the New Jersey Council on Affordable Housing and Deputy Commissioner of DEP, as well as serving on many Boards and Committees. He returned to the private sector in executive positions for firms such Shoprite Supermarkets and Hovnanian Builders. He fostered the introduction of the Freehold Raceway Mall and as Chairman of Freehold Area Hospital, led its transition to what has become CentraState Healthcare System. Arthur steered restoring the Western Monmouth Chamber of Commerce to its current place as the Greater Monmouth Chamber of Commerce. He finally retired to become a southern gentlemen where he and Pat continue to live in Freehold Township and occasional spend time at the family home in Salisbury, North Carolina. So if you find yourself running into Arthur, say on Kondrup Way as it crosses Route 33 getting a cone at Dairy Queen, or a sub at Sorrento’s, or hopefully staying out of trouble at the Prosecutor’s Office, say hello to Arthur and watch him struggle remembering your name. You’ll enjoy his often heard expression, “High Guy”.